Relocating: Making the Move to Pittsburgh! Newcomers arriving in Pittsburgh by air or by land – and especially by way of the Fort Pitt Tunnel – are often shocked by the vibrancy that emerges before them. Now a colorful mix of culture, arts and innovation, the images of the sepia-toned rust-belt town have long since disappeared. space with riverfront trails that meander past two new sports stadiums and through burgeoning entertainment and food scenes. Excitement extends beyond Downtown, with revitalization breathing new life into the city’s 90 neighborhoods, each with its own unique character, shaped by Pittsburgh’s rich history. From hip and trendy to quiet and secluded, this region’s diverse districts accommodate any lifestyle. For those looking for more elbowroom, the region’s expansive suburbs strike a perfect balance between green space and new development. “Outside the city, new construction still remains strong in the northern suburbs of Cranberry Township, Adams Township and Mars,” says Tracy Young, Director of Relocation at Berkshire Hathaway HomeServices The Preferred Realty. In the south, she sites growth in Peters Township, Bridgeville and Upper St. Clair. “Top-tier education systems and ever-growing commercial developments contribute to why these suburbs remain popular,” she suggests. Young agrees, noting the importance of providing extensive tours so transferees see firsthand the nuances of all these different neighborhoods, “We listen to the clients specific wants and needs and then introduce them to neighborhoods that meet those needs so they can experience them for themselves,” Young says. 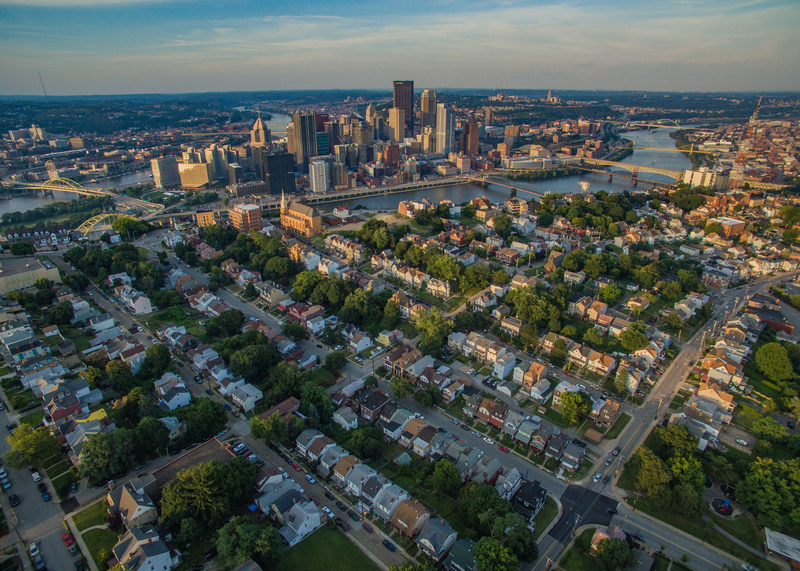 The region certainly has come a long way since 1985 when Pittsburgh was first proclaimed by Rand McNally as America’s “Most Livable City.” Back then, people around the country were bemused by the distinction. But today, it’s a shock if the city doesn’t make it on a list of just about any type of ranking – be it best metro area for STEM professionals, most kid-friendly city, best cities for foodies, or the best city for active lifestyles – not to mention the short list for Amazon’s next headquarters. Forbes.com recently listed Pittsburgh among the top cities that give the most bang for your buck. That’s because Pittsburgh is an affordable city that offers the amenities of a megalopolis, but with added stability. 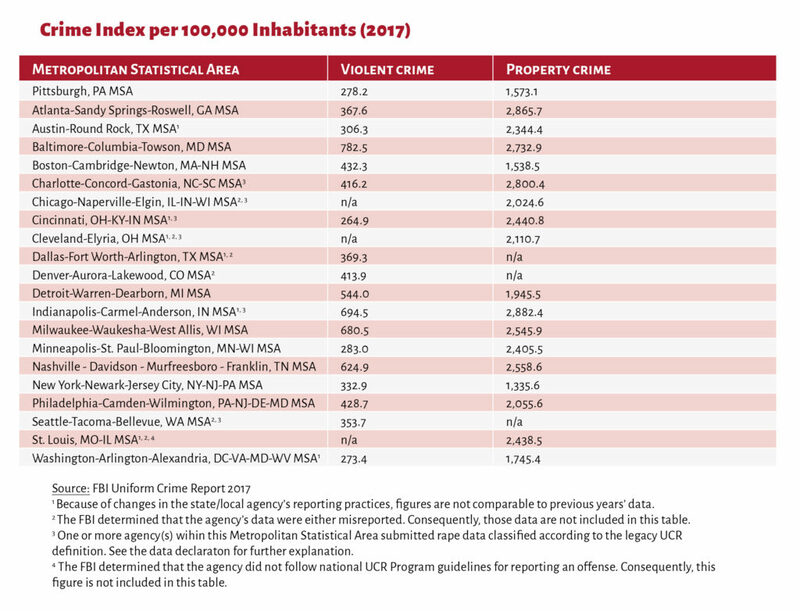 With an average home price of $116,400 (the national average is $171,700) and a cost of living that is 12.2 percent below the U.S. average, Pittsburgh is among one of only five U.S. cities where less than $1,000 a month can buy a home, or that the median home price is $140,000 with a required salary of about $32,000. “The affordable cost of living has always been a draw for people moving into the region,” says Sadowski. 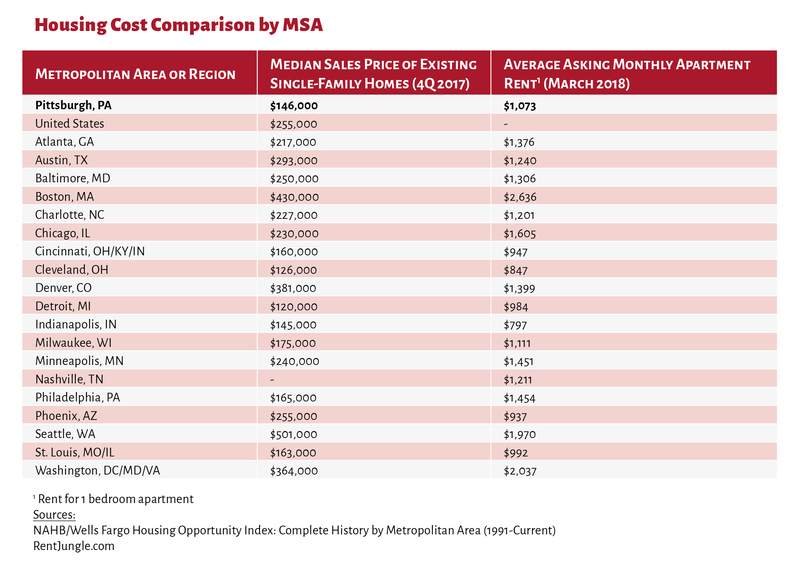 Affordability is particularly attractive to graduates moving out of dorm rooms armed with freshly minted college degrees. Despite a strong job market, college grads launching a career find that a good job offer lands them in a pricey housing market. While they might earn more in hubs like New York and San Francisco, fewer people can afford to buy a house or an apartment. “There is such a vast difference between what you can get here and what you can get in Silicon Valley, for example,” suggests Linda Topoleski, VP of Workforce Operations & Programs for the Allegheny Conference on Community Development. She says Pittsburgh companies are highlighting cost of living to attract young employees, and that message is being heard loud and clear. According to a study by LendingTree, millennials make up 49 percent of all home mortgage requests in the Pittsburgh region, second only to Boston. These young homebuyers are at the forefront of a growing nationwide trend of young buyers returning to the housing market. “Beyond housing, cost of living is about what you have left in your wallet after you pay your mortgage or your landlord. Say you want to travel. You can afford to do so,” adds Topoleski, who knows that type of affordability is important not just to millennials but at any stage of life. About Pittsburgh president, Dana Fortun concurs that a one-size-fits all report about cost of living doesn’t tell the whole story. “Everyone who relocates here is an individual with a unique lifestyle.” She says her organization’s 90 percent success rate in helping companies attract the talent isn’t just because of her organization’s expertise. “It’s because of the city itself and all it has to offer. There is something for everyone.” Indeed, there is, be it baseball or ballet, singing or skiing, parks or performances. Home to the Carnegie family of museums plus niche collections ranging from the quirky backyard collection called Randyland to Bicycle Heaven, the World’s largest bicycle museum and bike shop, Pittsburgh has no shortage of culture to explore. Downtown’s 14-block Cultural District features six theaters offering some 1,500 shows a year put on by the Pittsburgh Ballet Theater, Pittsburgh Opera and Pittsburgh Public Theater, among others. And more than ever, culture seekers can peruse downtown art galleries and retail shops, and sample what is fast becoming one of the country’s best food scenes. Since Zagat named Pittsburgh the best food city in 2015, the city continues to climb the culinary charts, according to the financial data site Smart Asset. 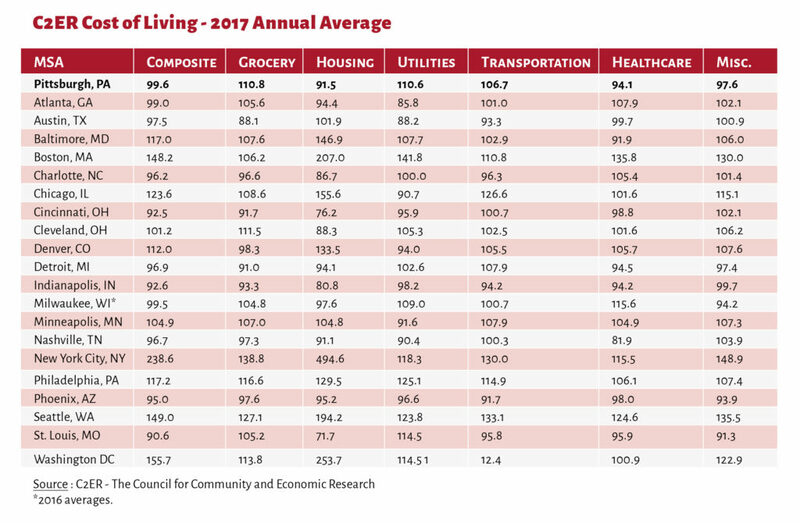 It suggests the great thing about Pittsburgh – other than 43 restaurants per 10,000 residents (third-most in the country) and 5.5 community-supported agriculture and farmers’ markets per 100,000 residents (sixth-most in the country) – is the prices. Relative to other large cities, especially those in its top 10, they say diners can get a good deal in Pittsburgh. With access to affordable, fresh and local ingredients, chef-driven cuisine is flourishing in the region as well. The food scene is even taking a cue from the city’s tech incubators with places like Smallman Galley and Federal Galley – two restaurants where a class of chefs showcase their cooking for 18 months, paying no rent. The hope is that they’ll build a following and create their own restaurants. These cutting-edge restaurants coexist with classics like Mad Mex and Tassaro’s, ending the era when Pittsburghers and visitors complained that there are few choices for a great meal. 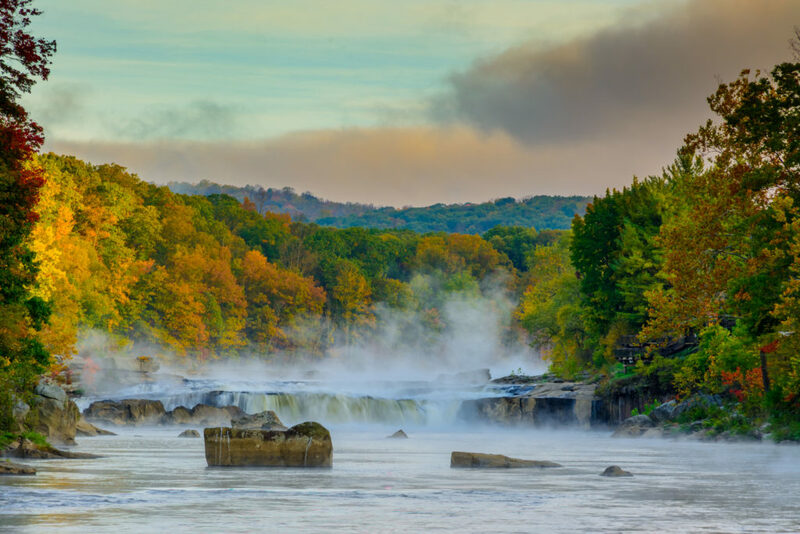 An abundance of green space is found inside the metro-area: The Three Rivers Heritage Trail’s 24-mile riverfront system; 2,000 acres of parkland; and 800 acres of open space for the public to enjoy. Add to that the surrounding regions that are home to countless county and state parks, ski resorts, golf courses, lakes and streams. And for those who prefer spectator sports, it doesn’t get any better than the City of Champions – so named during the late 1970s for the seven titles won in nine years and again during the late 2000s for three titles in four years. With three major professional sports franchises, the Pirates, Steelers, and Penguins, plus the universities competing in the highest level of collegiate athletics in the United States, in both football and basketball – that knick name will likely stick around for a while. All that and Brains too? Highly ranked schools or low cost of living means little to those relocating to Pittsburgh if job opportunities aren’t here. The good news is, with its diversified economy and consistent demand in healthcare as well as its service sectors, our region shows no signs of slowing in 2018. The nation’s fifth-largest bank, eight Fortune 500 companies, and six of the top 300 U.S. law firms make their global headquarters in the Pittsburgh area, while RAND, BNY Mellon, Nova, FedEx, Bayer and NIOSH have regional bases that helped Pittsburgh become the sixth-best area for U.S. job growth. Google, Apple, Bosch, Facebook, Nokia, Autodesk, and IBM are among 1,600 technology firms generating $20.7 billion in annual Pittsburgh payrolls. The area has served as the long-time federal agency headquarters for cyber defense, software engineering, robotics, energy research and the nuclear navy. Pittsburgh has also gained momentum as a center for autonomous vehicles, with Uber and Ford both setting up operations there to tap talent at Carnegie Mellon. “Opportunities abound for new graduates, workers ready to step into leadership roles, and those looking to learn new skills and try something new,” says Topoleski. In fact, over the next ten years, the Pittsburgh Region will require 34,000 new workers each year as older generations retire and new jobs are created. 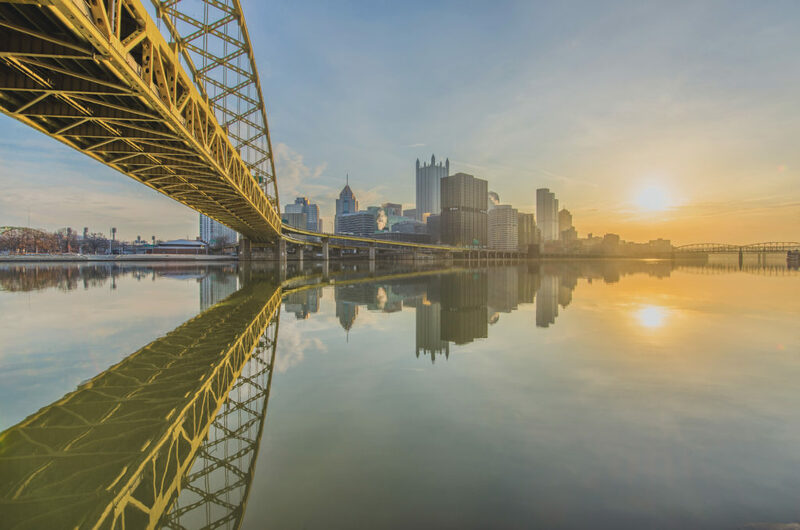 To help young and mid-career workers take advantage of these regional opportunities today and for years to come, the Allegheny Conference commissioned research that led to the Inflection Point report. It found that within 10 years, the region’s workforce will look dramatically different than it does today as a result of a wave of Baby Boomer retirements, occupational transitions and economic growth. The report found that agile, energetic workers willing to embrace technology and learn new skills will be well-positioned to command good jobs and salaries in high-demand occupational clusters such as Information Technology, Business and Finance, Engineering, Science and Production and Healthcare.